Some businesses have lost prime contenders for the finance chief job by waiting too long to make an offer. One industrial company started a CFO search in spring 2015 and identified two finalists late last year. But key decision makers at the company disagreed “over what they really wanted,’’ and their front-runner accepted a job elsewhere, says Samuel Dergel, a recruiter at Stanton Chase, where a colleague handled that hunt. Company officials “were unhappy that they weren’t able to secure the most appropriate candidate for the role,’’ he added. The company hired the runner-up instead. You can read the entire article on the Wall Street Journal website here. This following is from an interview with Ken Goldman, recently hired as CFO of Everbridge, as announced in CFO Moves. This interview was edited for clarity. SD: Ken, congratulations on your recent hire by Everbridge as their new CFO. KG: Thanks Samuel. This is my 10th CFO assignment in 34 years. I had the advantage before joining Everbridge of having known Jaime Ellertson, the CEO, for 8 years. I had lots of points of reference that allowed me to come in with more information than most people have when they join a company. SD: What is it about the tech space that keeps you coming back again and again and again? KG: Of my 10 CFO assignments, 8 of them were in technology (new world), 2 in the old world. What I like about technology is the fast pace, the amount of innovation that takes place. It is higher risk, higher reward. I love the feeling of the wind in my hair. I like the idea of driving fast. This is one of those opportunities where my only frustration is that there are not enough hours in the day. I feel very fortunate that 34 years into my career I am very excited to go into work every day. I get up at the ungodly hour of 4:45am and I’m in the office at 6 o’clock. Not because I have to but because I love what I do. SD: It’s great to be in such an environment. You mentioned ‘higher risk, higher reward’. I’d like to touch on that just a little bit. Imagine you weren’t a CFO and that you only had general business experience, and you would say the words “Chief Financial Officer”. The perception of such a CFO would not fit who Ken Goldman is. KG: If you think about, going back 20 – 30 years ago. CFOs were thought about as the Chief Accountant, Green Eye Shade, Risk Manager. They were someone to protect the company. While protection is part of my mandate, I would say that it really starts with enablement. My job is to enable the company to achieve success and greatness. I spend all of my time thinking about “How to do I do that?” Yes, protection is important, limiting the downside. But nobody ever built a company by just limiting downside. It’s about investing in upside. SD: I’m interested in learning from you how you bridge the gap in a technology environment where you have visionaries and creatives that are running around you and coming up with hair brained schemes that can or cannot work, that needs to be thought through. How do you deal with being the grounded business person in an environment of giddy creatives? KG: I’m not always the most popular person at the cocktail party being the voice of reason. The good news is that having done this a few times I can strike the appropriate balance between yeah, let’s jump out of the plane and put the parachute on the way down vs. let’s jump with 2 parachutes on firmly in place. Part of the reason a company like this hires somebody with my amount of grey hair is because they want somebody who can do this. When I talk about risk / reward, downside, risk mitigation, alternatives, it’s from a position of having done it before, I’m not just thinking about it for the first time. I have the scars and the failures to prove it. It’s all about balance. You can be a gambler or put it all on red or black, you can win everything or lose everything, or you can be more conservative and take a more thoughtful approach. As a good CFO, it’s about understanding the upside potential compared to the downside potential. It’s about making informed intelligent decisions as opposed to just rolling the dice. SD: You talked about not enough hours in the day. In my peer group recently, I asked my CFOs how they are doing. They all say that they are busy. I have never met a CFO who ever said that they weren’t busy. How do you manage? What is your key to dealing with ‘there is not enough hours in the day’? KG: It’s about being really good at juggling lots of balls at the same time. It’s about understanding the concept of triage. It’s about hopefully seeing around corners and out of the back of my head and hoping that in the 100 things that I have to do in any given day, I get the most important 99 done. I have what I call 51% days, where I consider it a good day because I got 51% of what I had to get done, done, but I’m frustrated that I didn’t get the other 49% done. In some ways I call it job security, because it’s not like I am going to die of boredom, but the other side of it is worrying about what was that one thing I didn’t get to today that was mission critical? And a lot of it is because I am 3 weeks into the job and I’m still developing relationships with my team and making sure that they understand that if something is mission critical, don’t just send me an email along with the 150 that I got that day and assume that I understand the mission criticality of that email. If it is really important, come see me. If it is really important, text me. If it is really important, find the appropriate channel to communicate so that it does not get lost in the fray. Eventually I am going to get to all 150 emails, but like everyone else I use emails for time shifting. Some emails I’m going to take care of tonight when I get home. Some of them I will not get to when I clean up my emails this weekend when I get to the 400 emails I didn’t get to this week. I try as best I can to look at the header on every email as it comes in to try to figure out ‘is this something I need to drop everything else for’? Some of that is luck, some of that is skill, and a lot of it is experience. SD: You talked about team. Most CFOs agree with me when I say that a CFO can only be as good as the team they have allows them to be. What is your approach to ensuring you have the best team possible to support you? KG: In an ideal world, you get to go out and hire all superstars. Start with the fact that the hiring process is imperfect, all the people that you’d like to hire are not necessarily available at the time you’d like to hire them, and there is a time to ramp up. There is a lot of value to incumbency. I am very fortunate coming in to Everbridge that I have a team, some of whom have been here 5 to 7 years, They have incredible institutional knowledge, a good core skill set, and in some cases it is a question of the right management and mentorship. I believe that great employees are not necessarily hired, they are developed over time. I believe based on what I have seen so far, the people that I have today are keepers. Even in my own job, in my own career, I believe I earn my job every single day. If I do a good job today, I get invited back tomorrow. If I don’t do a good job today, I probably don’t get called back tomorrow. It’s not that you are at risk every single day. The number one thing I look for in an employee beyond being qualified and capable, is work ethic. I want employees who have that solid work ethic, because to me, that is what gets you through the times when you don’t have enough hours in a day. Again, I’m fortunate here to have a good core team. I think one of the things that experience teaches me is how to assess that pretty quickly. I said before hiring is imperfect because everyone puts on their best suit in the hiring process, we sell the candidate why are a great place to work, a candidate tries to sell us on why they can walk on water and turn lead into gold. It’s not till you’ve worked with someone for a while that you realize their strengths and weaknesses. If you’re lucky, you make a reasonably good choice. Perfect choices, sometimes happen, sometimes don’t. You try to do the best you can. SD: Let’s switch over to what you are excited about at Everbridge. What’s on tap for you to accomplish going forward? KG: Every time I look at a job opportunity I start with thinking at it from the standpoint of “if I were an investor, would I invest in this company”. As far as I’m concerned, if I’m taking a job, I am making an investment. I can either invest my money or my time, my career and my reputation. I look for 4 things. Large addressable market, good financial results, company with a leadership position and elements of their business plan that make them / gives them a strategic competitive advantage and a great team. At Everbridge, this is a team with a proven track record. They have all worked together multiple times. Jaime Ellertson, our CEO, is probably among the best CEOs that I have ever come across. We have a great team, with a large addressable market, great financial results, and lots of development that give us a strategic advantage. If I wasn’t given the job opportunity, I still would have invested in this company. What I’m excited about is, we’re moving fast, we’re growing quickly, and that doesn’t happen just by momentum. We’re growing quickly, not because we are doing everything right, but almost everything right. I can say we are doing everything right, but nobody is perfect. We’re getting market validation, we’re growing at a rapid clip, picking up signature accounts, and rolling out new products. At the end of the day, the market votes with their dollars. If your revenue is growing, you’re probably doing something right. And we’re doing more than something right. That’s the most exciting thing because we have that growth, and that gives us options. When I say options… I describe the role of the CFO – create, maintain, increase and ultimately realize shareholder value. At the end of each day, I measure each day by whether I helped create, maintain, increase or realize shareholder value. If I can check that box, than I can probably come back tomorrow. To me, this opportunity is about creating great shareholder value. We are a for profit company, we have investors, we have stakeholders besides outside investors (employees and customers). Increasing shareholder value benefits everybody. SD: Ken, thanks for taking the time to share you CFO Success Story with my readers. Your passion for what you do comes through, and I wish you continued success and fun. 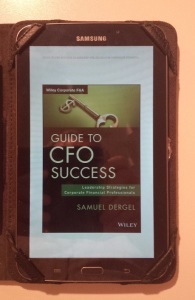 A CFO Success Story is a feature of Samuel’s CFO Blog, where Samuel Dergel follows up on his book, Guide to CFO Success, speaking with CFOs featured in CFO Moves, Samuel’s popular and comprehensive weekly report on CFO Movement across the USA. 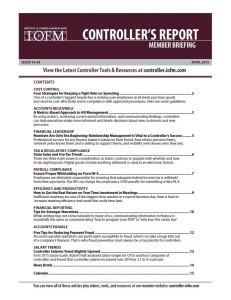 This article is an excerpt from the April 2015 issue of The Controller’s Report published by The Institute of Finance Management. Professional success for any finance leader is based on their brand (how others perceive them), their network (who knows them and is willing to support them), and their visibility (who knows who they are). 2. Develop a “relationship maintenance” plan. “Be aware of the people you absolutely need to have a good relationship with, and create a plan on how you will maintain and improve those relationships,” says Dergel. Schedule time for relationship management with all these key people (see sidebar). You’ll need to make a special effort with people in other departments. 3. Never underestimate the value of simply sharing coffee. Relationship building does not always have to be formal—in fact, it is often during informal interactions that the most powerful relationship building can occur. “Simply having coffee on a regular basis with people you want to build relationships with can go a long way toward learning their needs and how you can help,” Dergel notes. 4. Always deliver what was promised, when it was promised. Finance Executives: Should you take an overseas posting? An article today in WSJ’s CFO Journal by Kimberly S. Johnson (Career Booster for CFOs: a Stint Abroad) discusses the opportunities that exist for finance executives in taking an overseas posting on their way to the CFO chair. The article is well written and researched, and has many positive points to consider for finance executives on the rise. You may remember playing snakes and ladders as a youngster. The article makes it seem like an overseas posting is a ladder to get you to the top. I have seen instances that it has been such a ladder for up and coming finance executives. But beware. What very well looks like a ladder could be a snake that gets you to slide down and out. In my experience as executive search consultant, I have spoken with a number of disillusioned finance executives locked out of the most senior roles in an organization because they took an overseas role thousands of miles from head office. From my perspective, one of two things happened. These finance executives either lost the opportunity to move up by being so far away from decision making, or they were pushed there because senior management did not consider the executive the “A” player they thought they were. Opportunity or Kiss of Death? 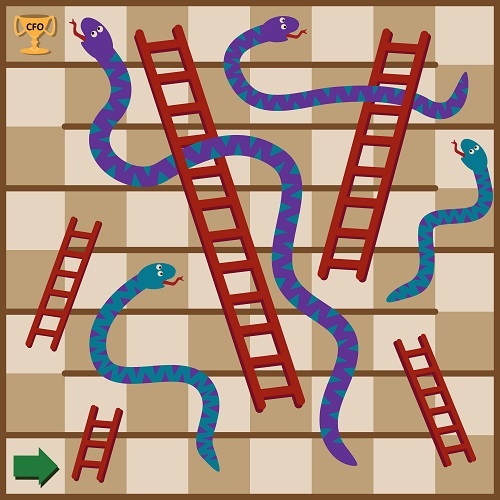 Ladder or Snake? Have the conversation – know what is expected of your time overseas. Listen and ask questions, especially for what comes after the posting. Only hearing vague promises of great things after your stint is not enough. You need to understand what is expected of you during your tour of duty, and what the plan is after. Also, have the conversation as to what knowledge, skills and experiences you should obtain during your expatriate experience, and how they are needed to “complete you” for your next tasks ahead. Oh, and get it in writing – who you speak with about the plan to leave and return may no longer be with the company when it is time to come back. Stay close – In Guide to CFO Success, I discuss the importance of relationships to your success with your employer. Your Relationship Map will be a key tool to ensuring that you continue to manage the important relationships needed for your success overseas. Being in the corporate loop is difficult enough when everyone you need to speak with is down the hallway. Being an multiple times zones away makes staying close that much harder, and critically more important. Impact your success – Use this as an opportunity for to impact your three critical career success factors (discussed in my recent book). Plan how this new posting will impact your Brand. Network inside and outside your company is more important than ever, and maintaining your visibility takes a lot planning and effort. If you are offered an overseas move, don’t just jump at the offer. Make sure the move will land you on a ladder, not a snake. In a previous blog (Do CFOs Listen to Podcasts? ), I mentioned that I polled my CFO Advisors on their content habits. Here is one more tidbit from this survey. While CFOs may not be the world’s most voracious book readers (see Jack Sweeney’s LinkedIn Pulse post: Imagine Being a CFO Who Doesn’t Read Books: Welcome to the Bean Counters Club), when I asked my CFO Advisors what book format they prefer to read, 1/3 of them said they prefer to read an e-book, while the 2/3 majority prefers a real paper book. I don’t read many books. Gradually making shift to e-book. Reading my first now & getting comfortable! Use my iPad for many magazines, but like to highlight books and prefer feel of holding book. Are you trying to make me feel old? It worked. I like to highlight, etc. When I began my journey writing Guide to CFO Success two years ago, I had never read an e-book. As I was about to become an author and my book would be made available as an e-book, I felt it was important to understand what an e-book was all about, so I bought an Amazon Kindle. Today, reading an e-book on my tablet or phone is my preferred method of reading, but I enjoy the senses that come from reading and handling a real book. As the holiday season approaches, consider an e-book as a gift for your favorite CFO. You can tell them that Samuel says they should try it out and join their forward looking peers that are making their way through the digital age. 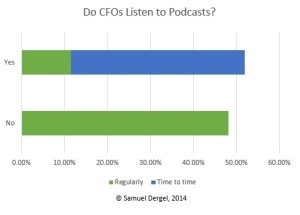 Do CFOs Listen to Podcasts? As someone who creates content aimed at the CFO and other senior finance executives, understanding what Senior Financial Officers like to consume as content is important. There is a lot of different types of content out there. Traditional content creators like TV, newspapers and magazines are no longer the only providers of professionally oriented content. Professional services firms, associations and groups, software providers and anyone that wants to get the attention of a Chief Financial Officer is creating content to catch the attention of this Very Important Decision Maker. When preparing to write my book, Guide to CFO Success, I created a CFO Advisor group to seek the opinions of senior finance executives and learn from their actual experiences. As part of my ongoing quest in providing fresh and relevant Finance oriented content, I reconstituted my CFO Advisor group so that we can all learn and grow. I recently polled my CFO Advisors on their content habits, and will be sharing some of their insights over the coming weeks. To begin with, I thought it would be interesting to understand whether CFOs listen to podcasts. Most of the content I have created over the years have been in text, whether on my blogs, in other media articles, as well as my recent book. I have never created my own podcasts, but I have been interviewed for a few podcasts over the past while. As you can see from the graph, about half of my CFOs do listen to podcasts, while 12% of them tune in to podcasts on a regular basis. It is interesting to see that CFOs are beginning to take a shine to the podcast as a form of content delivery. To get a better understanding of the value CFOs are getting from podcasts, as well as the future of podcasting focusing on senior finance executives, I spoke with Jack Sweeney, host of CFO Thought Leader, a series of podcasts sharing firsthand lessons from leading Chief Financial Officers. 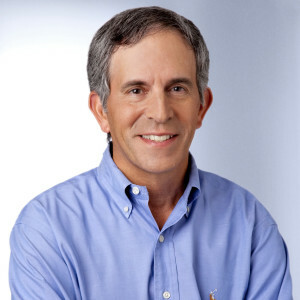 I had the opportunity to be interviewed twice by Jack for his CFO Thought Leader podcasts, and appreciated his insights and questions, which led to the creation of valuable content of interest to the CFO. “Like many people, my “content consuming” behavior has entered a period of great change. I find I’m adopting the ways of my teenagers (early adopters). We depend almost exclusively on our TV’,s DVR and we take an iPad on family trips so we can access Netflix anytime and anywhere. Meanwhile, I’ve begun to listen to the NPR podcast on weekends simply because I added the app to my iPhone. Sweeney also pointed me to this quote from Tom Webster, VP of Strategy at Edison Research. Podcasting is just one more distribution channel for content of interest to finance executives. Will CFOs choose podcasting as one of the major ways for them to consume relevant and interesting content as time goes on? Is podcasting a great way to get the attention of the busy CFO? 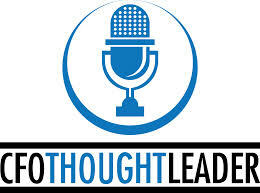 I was recently interviewed by Jack Sweeney for his podcast series called CFO Thought Leader. This was the second time I was interviewed by Sweeney, and I enjoyed the conversation. I believe you may find the conversation interesting and relevant. Helping companies hire their next CFO with the correct chemistry for the company. Key reasons a company needs to work with an executive search firm to hire their next CFO. The courtship process in hiring a new CFO. Voice clip of Brad Dickerson, CFO at Under Armour, previously interviewed Jack Sweeney, discussing what he wished he knew at the beginning of his CFO career. Young CFOs who are “Jumping the curve”. Private Equity firms and the influence they have over the placement of CFOs in mid-size market. The CFO career path – jumping to larger ship vs. niching down. CFO Hiring – from within the same industry or outside the industry? Which comments resonate most with you? Let me know what you think below, or privately by email. The CFO & CHRO: The discussion continues. Listen in. On Wednesday August 13, 2014, I was interviewed on DriveThruHR by Nisha Raghavan. In our discussion, we touched on a few points about the relationship between Human Resources and Finance. Here are some of the topics Nisha and I discussed. What’s keeping CFOs up at night? Talent is one of the top five issues facing the CFO. Who should HR professionals report to? The CEO or CFO? Discussed CHRO Moves and CFO Moves and the difference between the visibility CFOs and CHROs get. Discussed Samuel’s new book, and what it says about the importance of the CFO having a strong relationship with the CHRO. HR and Finance are critical support functions that need to work together to make the business successful. A deeper discussion follows on how HR and Finance can work well together. Cross training Finance professionals in HR. How CHROs can benefit from a close relationship with the CFO, as well as how the CFO can benefit from a close relationship with HR. A business partner approach is very effective. Where should companies find finance talent? Everywhere. The right senior finance talent is much harder to find and attract. Companies cannot afford to hire the wrong CFO. There is not only the cost of hiring wrong, but companies are missing the upside of hiring a great CFO as well. Samuel’s CFO Blog is published by Samuel Dergel, CFO and Finance Executive Search Specialist and Finance Executive Coach.